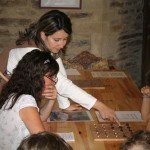 During the summer season, there are various activities with a medieval theme in the different rooms of the castle. The castle’s cook will initiate you in the types of cooking and the ingredients used in the creation of meals in medieval times. You will then put on medieval costumes and play the part of guests at a banquet given by the seigneur of the castle in the banqueting hall. 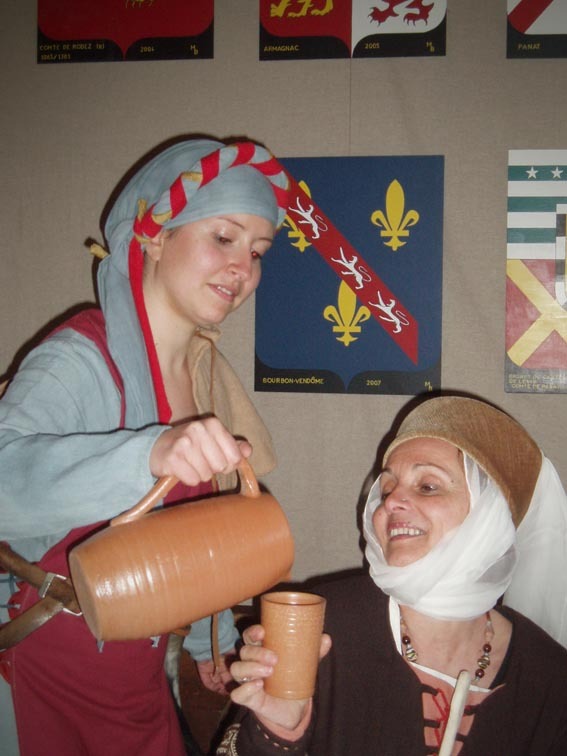 An amusing way to discover the habits and customs at a medieval table! 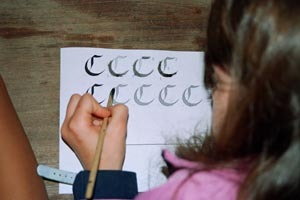 Our calligrapher will help you explore medieval writing. 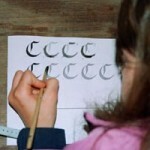 You will discover the various materials used by scribes and monks. You will learn about ancestral methods of making inks and paints. 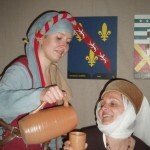 Come and find out how people amused themselves in medieval times. 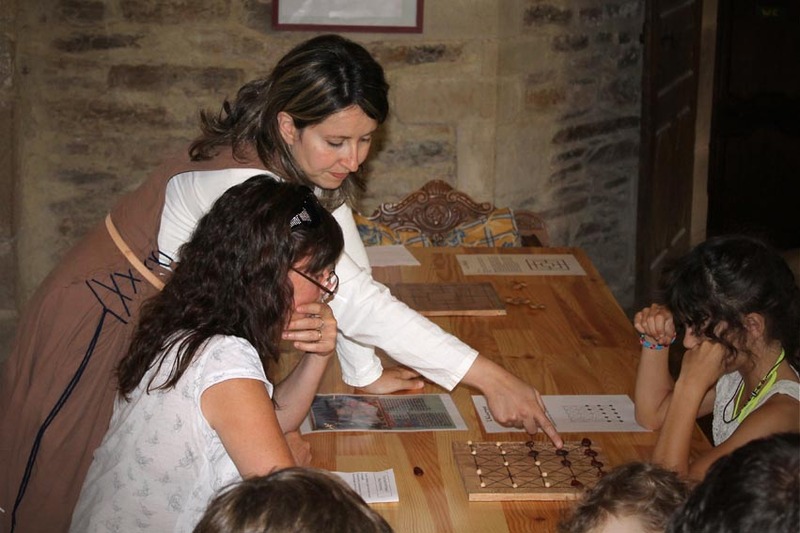 From Alquerque (El-quirkat, the forerunner of draughts) to games with dice, from Nine Men’s Morris to Fox and Geese, not forgetting Jacks, Dame Johanne will lead you into the world of medieval games.